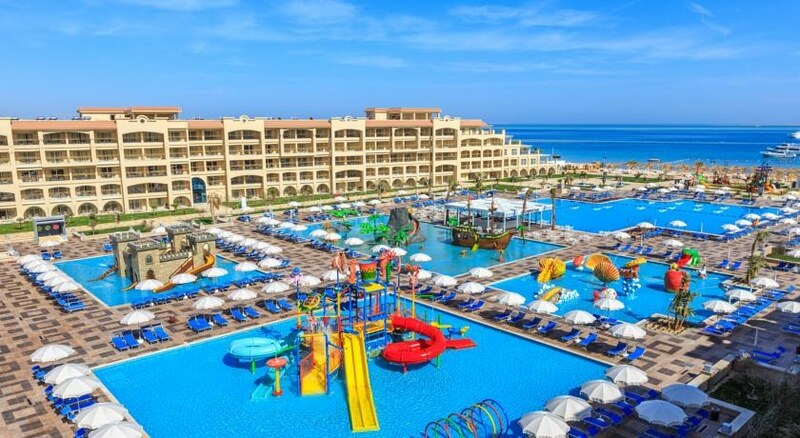 Albatros White Beach is a luxurious family friendly resort nestled on a sandy beach in Hurghada in the Red Sea Region just 9km from New Marina. Spread over 20 acres of landscaped area, the property’s excellent location near the exotic natural seascape makes it a top favourite of individuals travelling solo, as a couple or as a family. Featuring two gorgeous pools, a kids’ pools, a fully-equipped gym and multi-sports court, this property promises its guests a comfortable stay with warm Egyptian hospitality. Immaculate guestrooms with contemporary furnishing and décor have excellent sea views and come with flat-screen TV, seating area, private terrace or balcony and en-suite bath with shower and bath amenities. 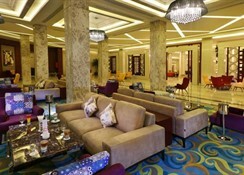 The hotel nestled on a sandy beach of Hurghada in the Red Sea Region just 9km from the New Marina. 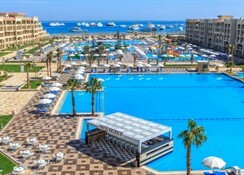 Downtown Hurghada is 11km from the property, while Giftun Island is 10km away. The nearest airport is Hurghada International, barely 5km. Albatros White Beach offers Standard rooms, Junior and Royal Suites to suit the requirements of guests. Elegant, superbly appointed and well equipped the guestrooms come with twin or king beds, flat-screen satellite TV, seating area, private terrace or balcony and en-suite bath with shower and bath amenities and hairdryer. 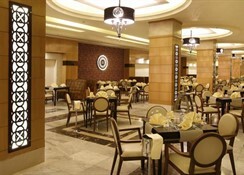 The hotel has a clutch of fine restaurants and bars to cater to the palate of guests. Authentic Italian dining is available in Soparno with an upscale ambience, for Asian, L’Asiatique with live counters and al-fresco dining, for oriental flavours, there is saffron, there is a food court and Wow, an a la carte eatery and cocktail lounge. There are several bars with excellent ambience to sip an exotic cocktail. 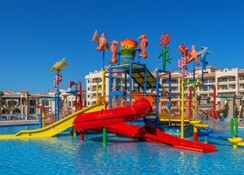 Albatros White Beach has a private beach area and a lovely outdoor pool and sun. There is a fitness centre for those who wish to stay active. A delightful spa with sauna provides several rejuvenating massages and therapies and beauty treatments can be had on request. 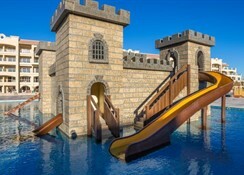 Kids will love its playground, waterpark with fun slides and Kids’ club. The hotel arranges evening entertainment programs too. 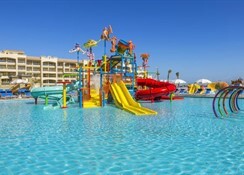 Table tennis, tennis and games room can be accessed free while diving and snorkelling can be arranged at extra charges. Free Wi-Fi is available in all public areas. Absolutely beautiful Hotel, spotless and very modern. The staff are very professional and friendly. I would highly recommend this hotel to both couples and families with children of all ages. *Tip* no need to book sea/pool view as all rooms face on to pools and sea. Everything was fantastic, the hotel was fabulous & so clean. The kids pools were brilliant, especially for you kids, my 1yr old & 3 yr old could stand up in them. Would definately go back.